A brand new musical adaption of children's bedtime classic Fantastic Mr Fox is currently touring the UK. Adapted by playwright Sam Holcroft as part of the Roald Dahl centennial celebrations in 2016, the show is directed by Maria Aberg and features music by Arthur Darvill and lyrics by Darvill, Holcroft, Darren Clark and Al Muriel. Of course, Roald Dahl's works have become popular subjects for stage adaptation in recent years, with both Matilda and Charlie and the Chocolate Factory having made waves in the West End and overseas. Clearly Dahl's work remains as popular today as always, so such now seems like as good a time as any for the wily Mr Fox to make his stage debut. 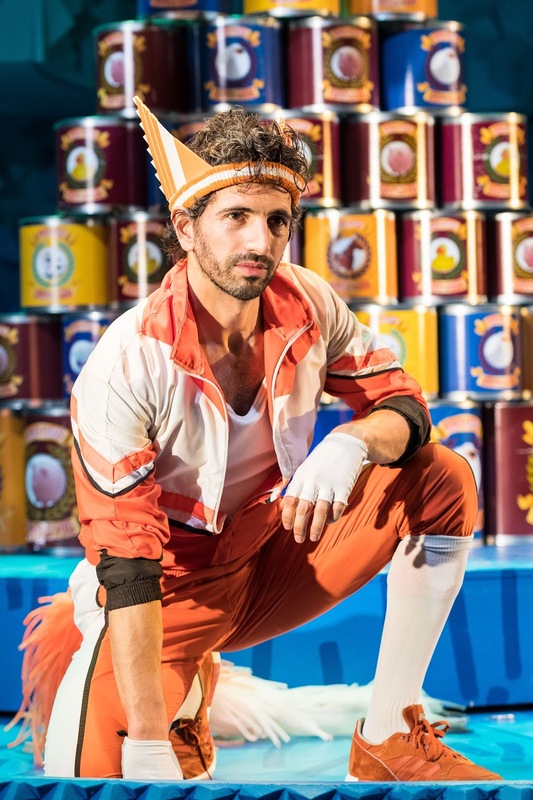 'It has a nostalgic effect on all the adults we speak to after the show' says actor Greg Barnett, who is currently starring as the eponymous Mr Fox. Barnett has been touring with the show since it premiered last November at the Nuffield Southampton Theatres. 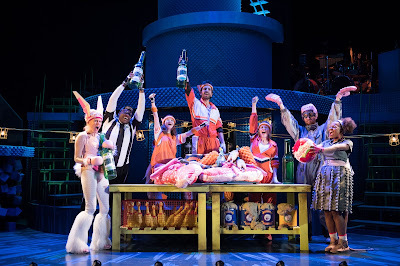 A co production with Curve, Fantastic Mr Fox promises to be fun for all the family, a sentiment which Barnett confirms, saying 'it's very much for everyone, everybody goes out having enjoyed it'. That's certainly something which many shows based on Roald Dahl books seem to have in common. It's impressive that the story of an anthropomorphic fox's attempts to outsmart three horrible farmers should be a tale which attracts such a wide variety of audiences. In fact, Barnett says that he thinks of the show as 'like a Pixar Movie or a Simpsons episode where the little ones get the humour on one level and the adults get it for a totally different reason' but, Barnett emphasises, 'they're all laughing at the same gag'. The show is undoubtedly suitable for the whole family, a testament to Dahl's original story, which remains as popular and relevent today as ever. 'Whenever I speak to people and tell them what I’m doing they say it’s one of their favourite books, or they say "my little boy or my little girl is reading that in school at the moment!" It seems to be one of those books that’s in everyone’s psyche.' Barnett explains, also confessing 'It’s one of my favourite Roald Dahl stories'. But what's it like to play the famous role, notably taken on by George Clooney in the 2009 Wes Anderson Fantastic Mr Fox movie? Barnett is largely unfazed by the perceptions audiences may have based on the film, of course 'it makes life a bit harder when you’re in the role George Clooney played, but we’re so different to the film that it doesn’t feel like a burden'. He is, however, under no pretences about the responsibility the production has to do the characters, and their story, justice, musing 'It’s a massive thing to take on because it’s so iconic'. But audiences shouldn't be worried, as Barnett is quick to praise the creative team, as well as his fellow actors, who were 'willing to play, and find the fun and the truth within the writing, which had already done most of the work for us to be honest'. Undoubtedly Sam Holcroft was tasked with a daunting challenge in adapting the words of one of the most celebrated children's authors of all time, but Barnett says that when reading the script he knew he wanted to a part of the production, because 'anything to do with Roald Dahl is going to be fun to be involved in' and 'the adaptation that Sam Holcroft has written is just absolutely stunning, a really lovely modern take on the original Roald Dahl book', so die hard Dahl fans have nothing to worry about! It seems as if Fantastic Mr Fox is in great hands all round. Greg Barnett's passion for the show is evident as he enthuses that 'it’s got a feelgood factor' and 'a nice fresh, vibrant energy that really lifts you up'. With such a devoted cast, and an impressive creative team, Fantastic Mr Fox seems a worthy project to commemorate 100 years of Roald Dahl.